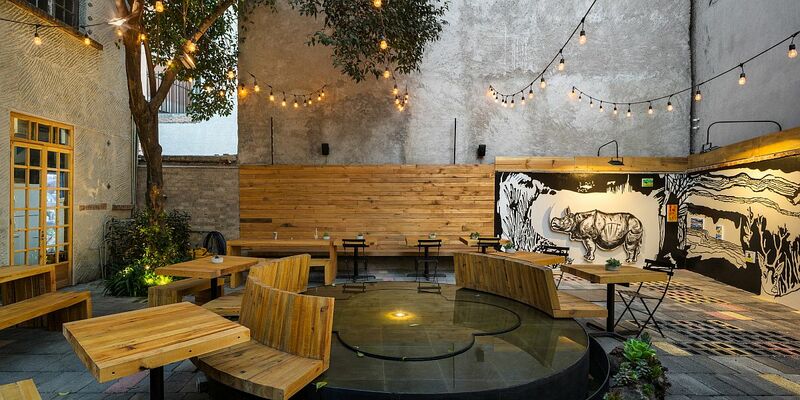 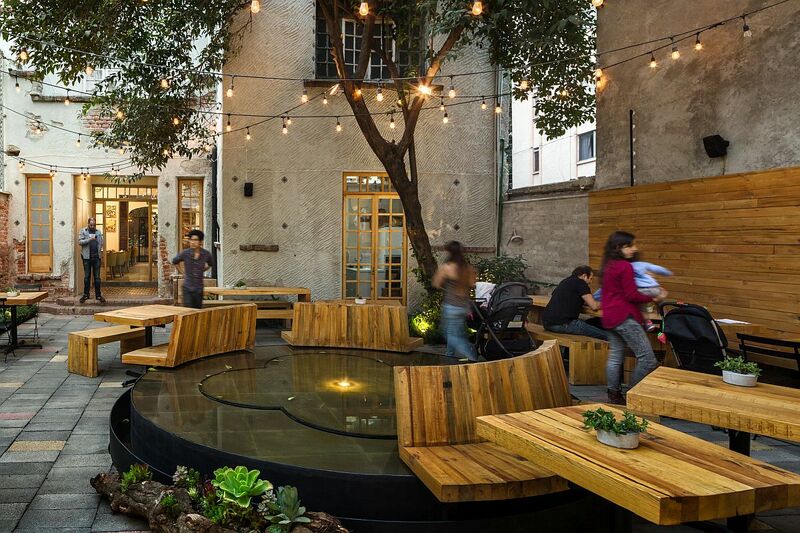 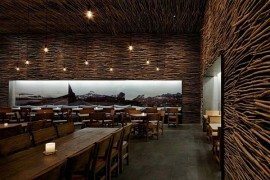 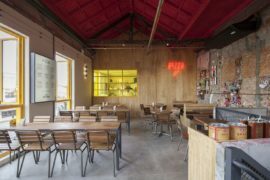 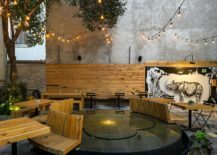 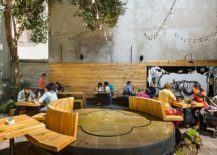 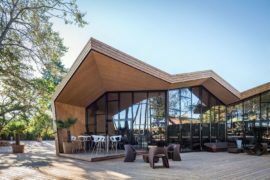 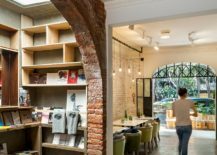 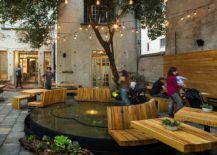 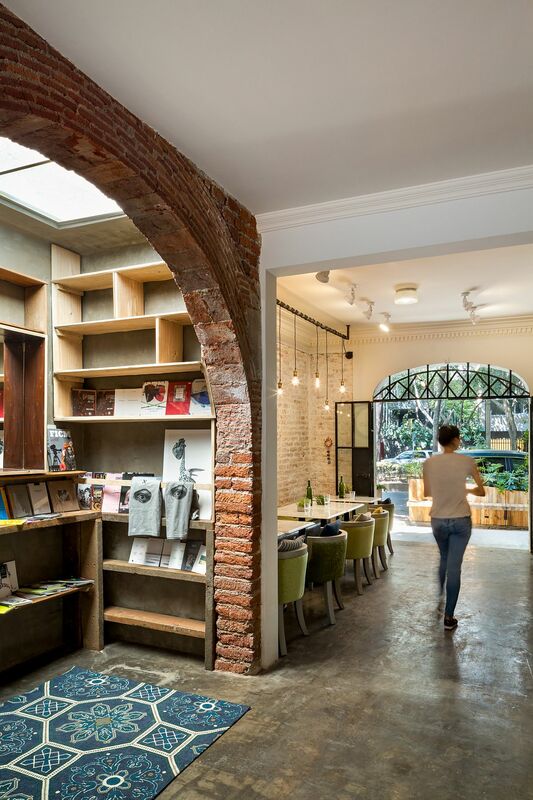 A restaurant that moves away from sterile and mundane design to unravel a space full of unique personality and style – this is a trend in restaurant and café design that is catching on globally. 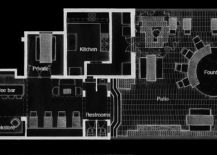 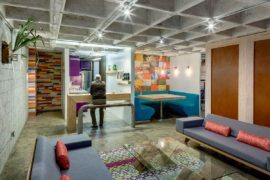 Much like in home and office architecture, the monotony of the 90s is being shunned for a more ‘soulful’ look that captures local heritage, architectural nuances and flavor. 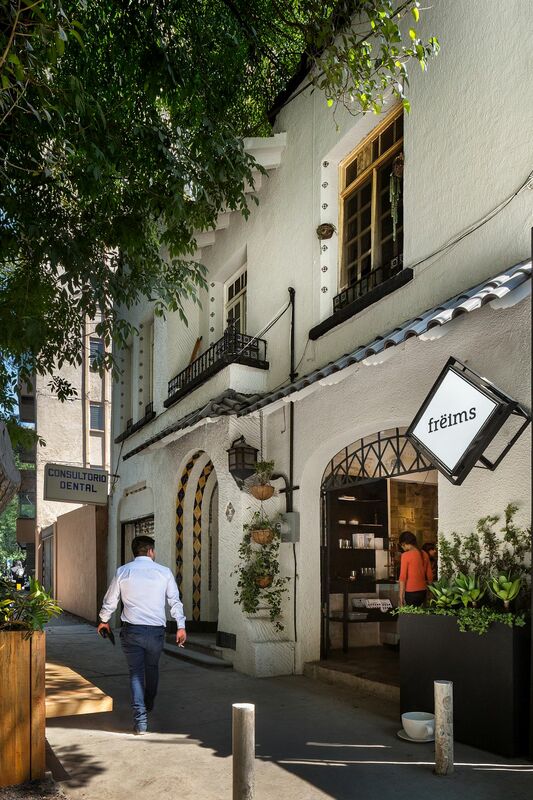 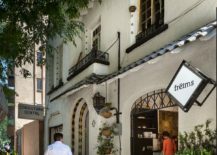 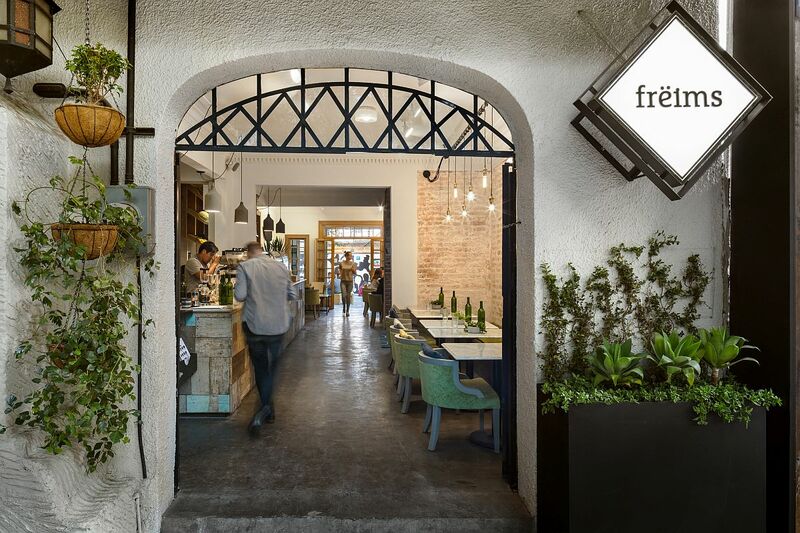 Following this path is Frëims in La Condesa, Mexico City, which also claims to be the first in the country to specialize in serving delicious waffle sandwiches. 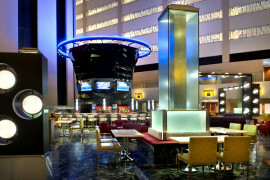 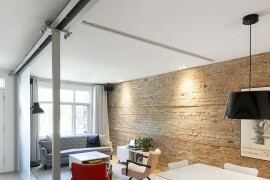 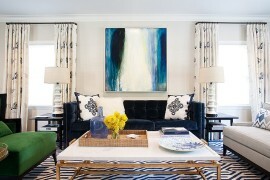 Of course, there is much more on offer here, including great inspiration for design lovers! 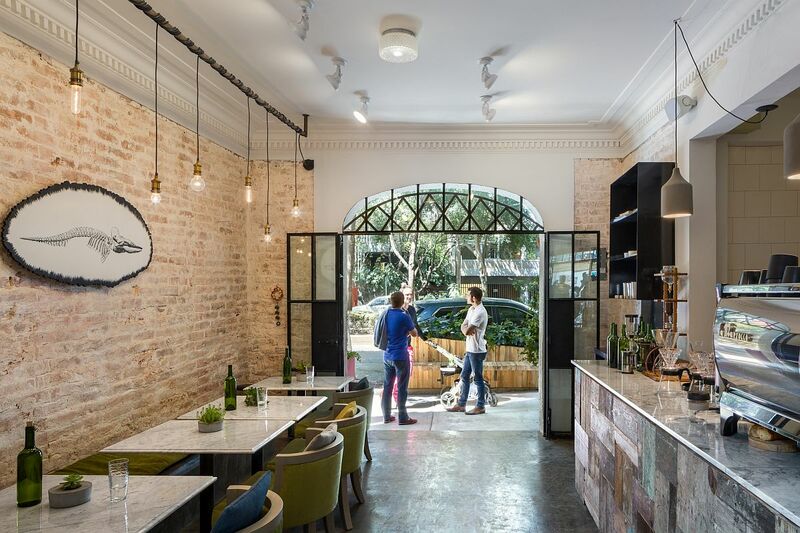 Originally a discarded residential building from the 1920s, the structure was transformed and rejuvenated by the creative folks at Arqmov Workshop, who preserved many of the original architectural features and finishes and transformed others by reinterpreting them in a modern context. 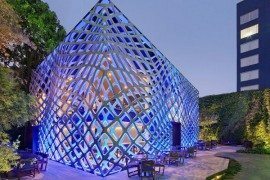 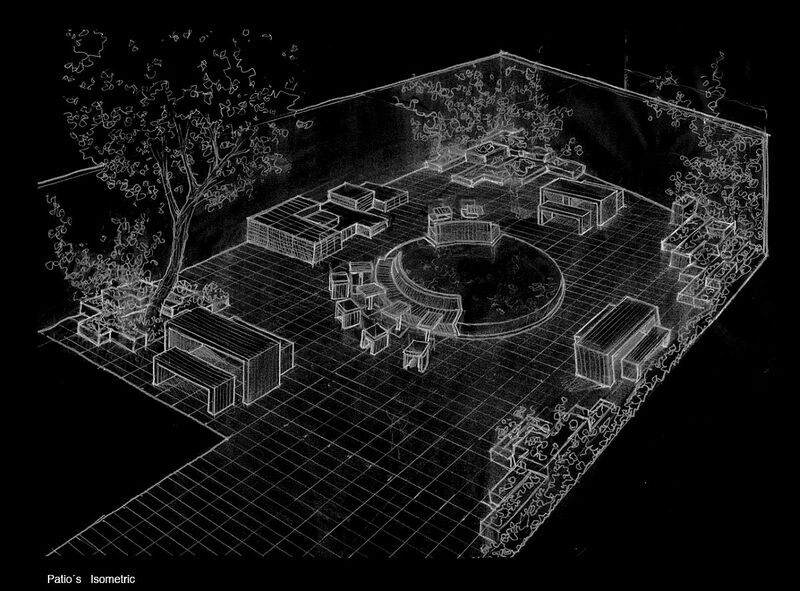 Despite its fabulous interior, it is the patio in the rear that serves as a gathering spot, an informal lounge and a place for concerts, book presentations and parties that ends up being the true showstopper. 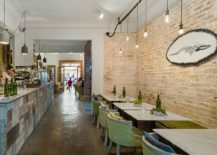 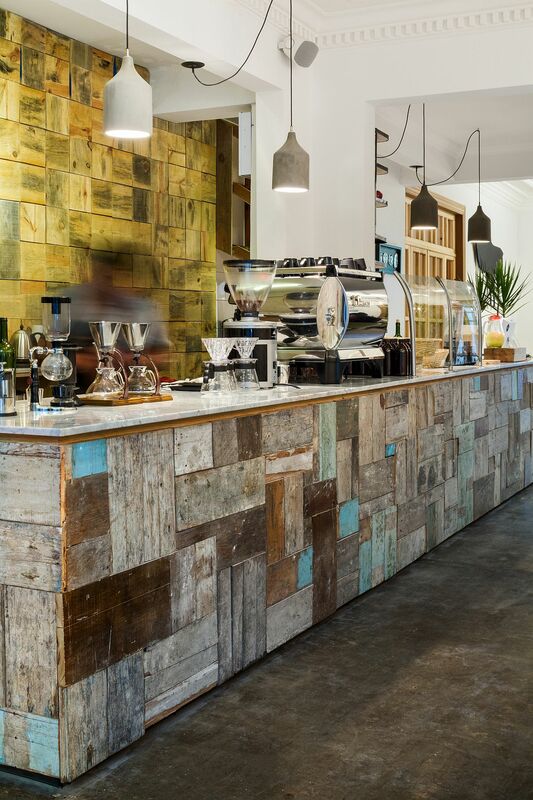 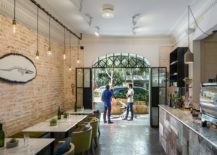 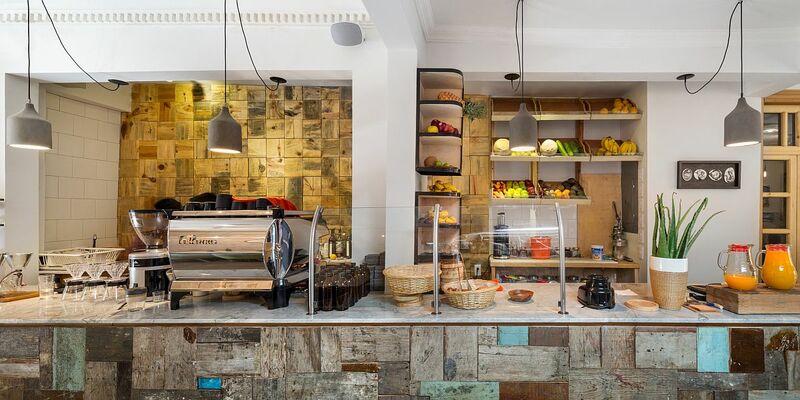 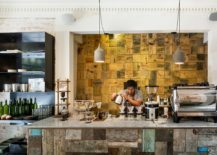 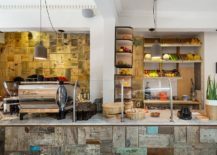 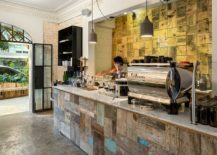 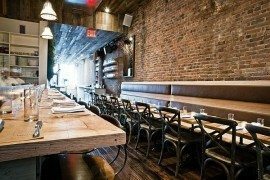 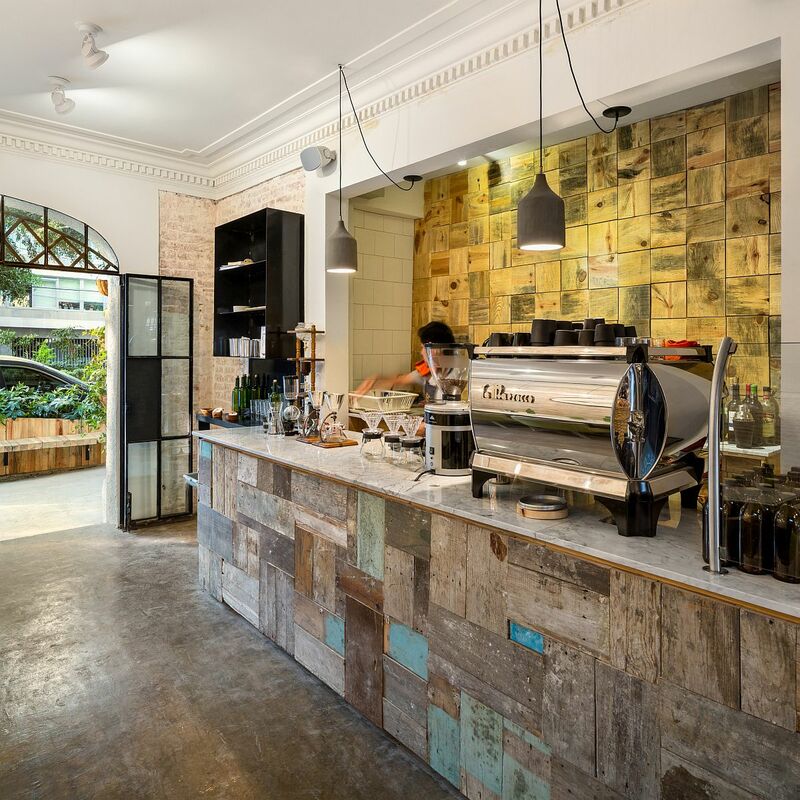 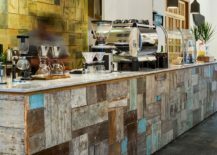 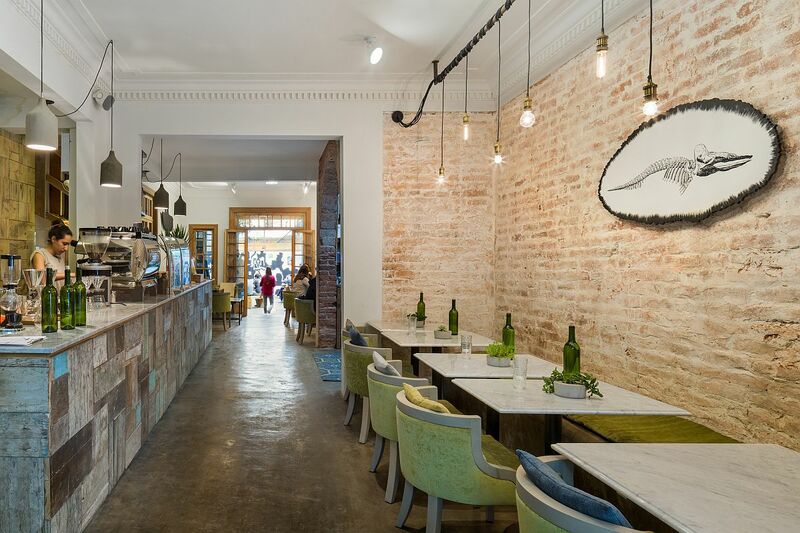 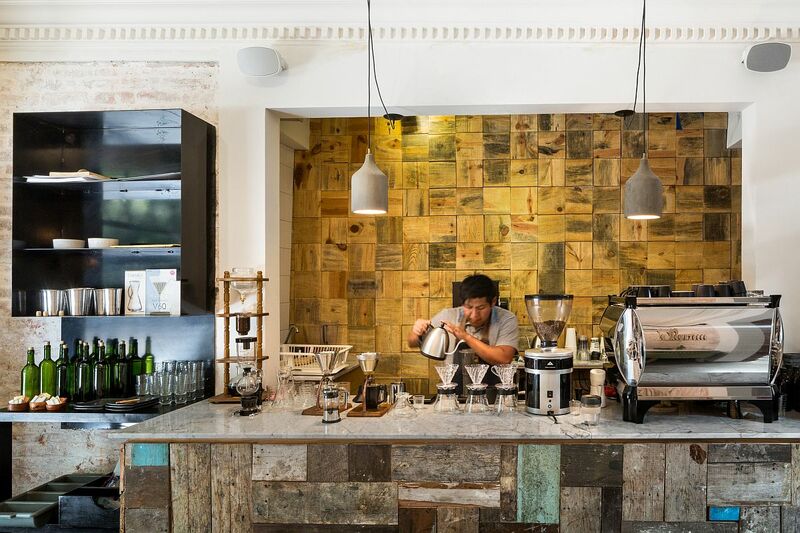 Exposed brick walls, reclaimed wooden surfaces, polished concrete flooring and colorful accents give the coffee bar, juice counter and kitchen textural flair that is a blend of the classic and the modern.